Saturday Screen is the home to art house, international cinema, and classics. Free admission | Tickets are available from the Beecroft Art Gallery Reception Desk. 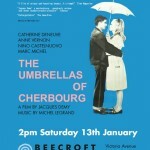 Jacques Demy’s 1964 masterpiece is a pop-art opera, or, to borrow the director’s own description, “a film in a song”. Catherine Deneuve was launched to stardom by this dazzling musical heart-tugger. She plays an umbrella-shop owner’s daughter, glowing with first love for a handsome garage mechanic, played by Nino Castelnuovo. When the boy is shipped off to fight in Algeria, the two lovers must grow up quick. 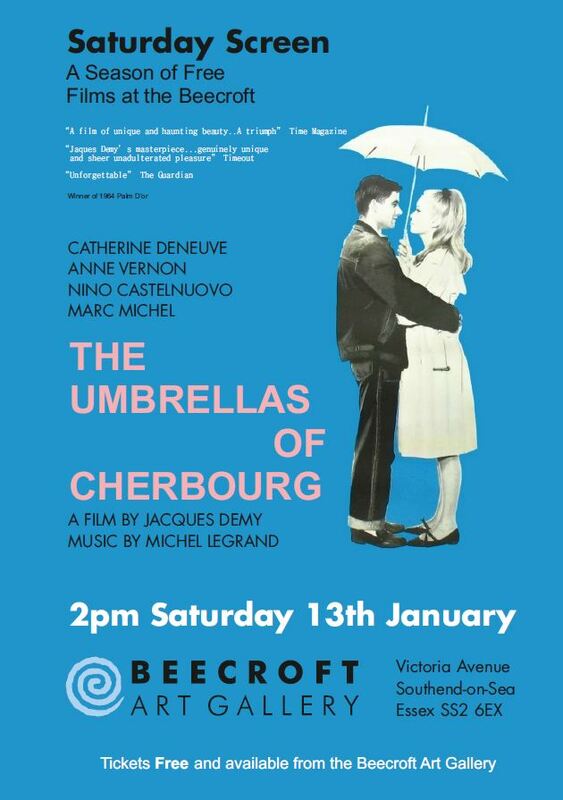 Exquisitely designed in a kaleidoscope of colours, and told entirely through lilting songs by the great composer Michel Legrand, The Umbrellas of Cherbourg is one of the most revered and unorthodox movie musicals of all time.